Vietnam’s six-man football squad have come second in this year’s international grassroots football tournament sponsored by Budweiser Beer, held in South Africa during the 2010 World Cup. In Pretoria on Friday, Vietnam lost 0-1 to Brazil in the final of the 6v6 tournament at Loftus Versfeld Stadium. The 2010 version included 11 nations. The morning of the tournament, teams arrived through the player’s entrance at Loftus Versfeld Stadium, host of five World Cup group stage matches and one Round-of-16 match. Budweiser Vietnam Managing Director Xavier Codron was on the Vietnam team’s sideline for the entire tournament. Vietnam beat China, South Africa, the U.S. and Argentina before playing Brazil in the final, according to Codron. Last year, the team who represented Vietnam at the international Budweiser tournament also came second after Argentina in the first time Vietnam took part in the six-man grassroots football event. Anheuser-Busch InBev Global Beer Champions 6v6 is an amateur football tournament that gives recreational players the opportunity to live out their dreams by taking part in an international competition at a world-renowned venue. During the championship rounds, teams play 10-minute games on quarter-sized fields under the six-on-six format. Global Beer Champions 6v6 began in Vietnam on March 7 this year, with qualifying rounds over the following three weeks in Hanoi, Ho Chi Minh City, Danang and Nha Trang. On April 6, Nha Trang’s Quang Huy Mobile beat out 127 other squads for the 6v6 national championship. 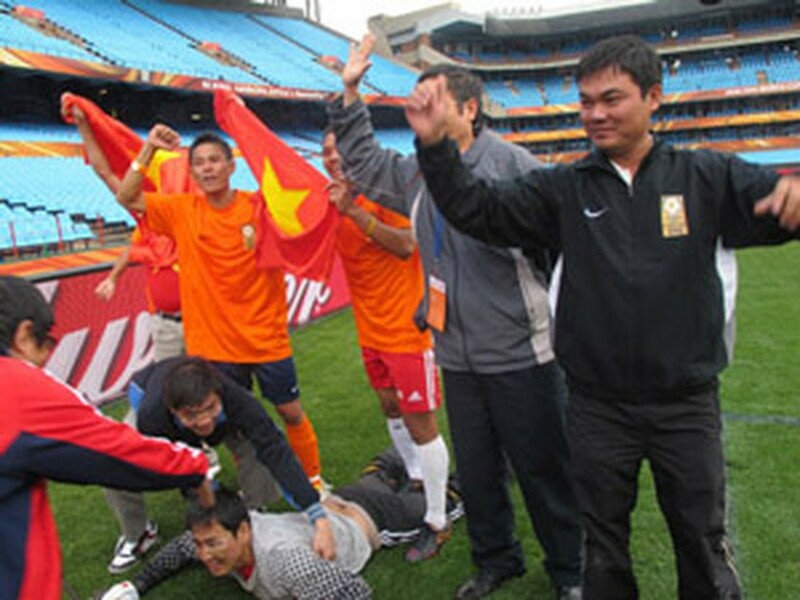 With the victory, the team advanced to South Africa and became the first Vietnamese players to take shots on goal in a FIFA World Cup host stadium.